Instagram provides us with the most beautiful photos that we can’t get out eyes off of them. And so we want to keep them as treasure, in our phone’s gallery. But this is a challenge because Instagram does not allow users to save photos from other feeds. Sure, you can take a screenshot but that does not qualify as downloading. Thankfully, there are people who share the same sentiment and created different ways of doing this process. Here in guide, we’ll present to you different methods on how to download Instagram photos on Android phones. Why can’t we download photos directly from Instagram? But first, a little background on Instagram. Well we know it as the fastest growing image sharing website, slash social network, with roughly about 800 million users sharing about more than 40 billion images. Facebook bought Instagram for 10 billion in stocks and shares. Yeah, it is hard to wrap your head around those numbers. Instagram is named after an “instant camera” and “telegram”. So really it’s about sending images as messages. Well, some messages just need to be remembered. There are a number of reasons why people want to save photos from Instagram. Some want to use photos of other artists as inspiration to their own work of art. Some just want to use them as wallpaper. Some want them as a keepsake to remember some memories by. Regardless of the reason, it is worth noting that only photos on public profiles are allowed to be downloaded. Instagram, as well as other social networks, has grown stricter with regard to their user’s privacy. It is understood that when you upload a photo or video on Instagram, but it is presumed that you are giving consent in case people download them. By putting it out publicly you acknowledge the risk of misuse. Always ask permission from the owner especially when the feed is private. These apps were designed for convenience because of their designers which think that downloading photos from Instagram should exist as long as the user is always good and fair to the owner and to the image itself. 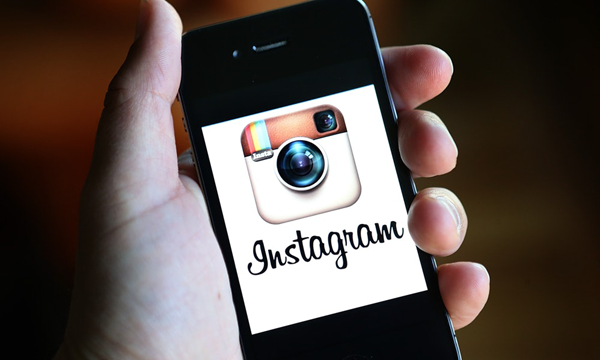 Which brings us to our list of how to save Instagram photos on the Android phone? Tip: You may also be interested in downloading Instagram videos on your Android, check the How-To guide here. player. 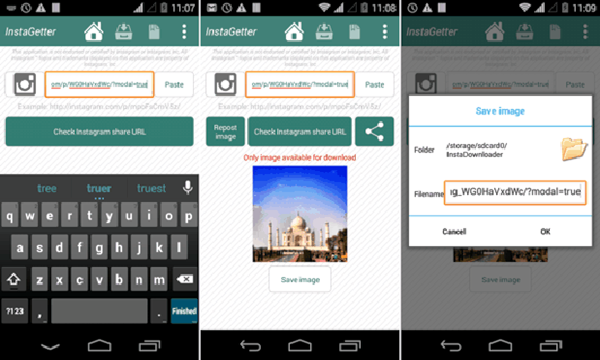 Here are the steps on how to install Instagetter. Go to Google Play Store and search for Instagetter. Open the search result and tap install. Once the app is installed open your Instagram app. Then, open the video or photo that you want to save. Copy the URL of the video or photo that you want to save. You can do this by clicking on the right corner button, and the copy or share URL feature. Now, you can go back to the Instagetter app. Paste the copied URL into the app. Instagetter will then check the URL and open the thumbnail of the photo or video if it is a valid URL. 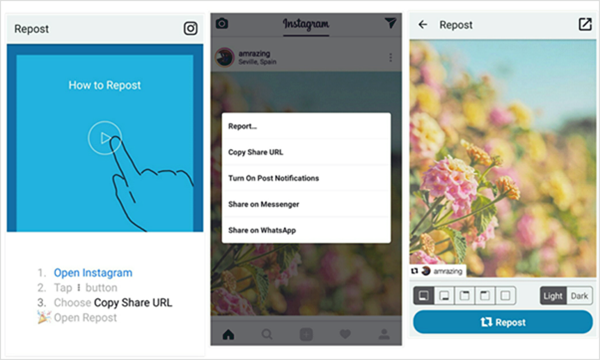 You can now tap download to begin downloading Instagram photos and videos on your Android phone. This app has gained quite popularity and is often the first option of people who want to save Instagram photos to their Android phone. It does work pretty fast and easy, with its simple interface. This app can be downloaded for free but some features are available upon purchase. Here are the steps for downloading InstaSave. Go to Google Play Store and search for Instasave. Open the link to download, and tap install. Sign in using your Instagram account. Find the photo or video you want to save. Now you can save the photos using the save button which can found on the top right corner of your screen. Most of these utility apps are pretty straightforward which makes them easy to use but perhaps the easiest app to use is Easy Downloader. They do live up their name. This app will allow you to save photos and videos from Instagram provided that their profiles are public. If you want to try this app out, here are the ways of installing it. Go to Google Play Store and search for Easy Downloader. Open the result and install the app. Once installed, you can set up the up by enabling the “download mode”. Open your Instagram app and look for the photo or video you want to save. Now you need to go to the Copy Share option, which you can find when you open the three dotted lines. The app should give you a notification that the photo is already downloaded. Some tech bloggers call this the best way to download Instagram photos to your Android phone. This highly recommended has received good reviews because of the range of features it offers. It does not only help users download photos or videos but also stories and comments. It even has added features such as zoom any photo on profiles or feeds, and a sneaky feature which hides that you have watched a video. If you want to maximize the enjoyment of what Instagram has to offer, this app takes the cake. So how do you download this amazing app? Here are the steps to help you do it. Go to the Google Play store and look for GB Instagram. After downloading make sure to enable the feature called Unknown sources. Now you are ready to set it up. You can go to Settings, then go to Security and choose Unknown Sources. Choose the folder where you want to save GB Instagram. After opening GB Instagram, you have to now login to your Instagram account, and you should be able to directly save the photos and videos you want to download. We know this is automatic. But some of us during the get to know the app process poke around buttons we regret poking afterward. Instagram autosave feature can be turned off, intentionally or for some of us accidentally. This feature creates an Instagram album in your Gallery and automatically saves the photos you upload on Instagram. It helps you create an offline feed in your phone, basically. So here are the steps on how to check your autosave feature. Open Instagram and then open your profile. Tap the overflow menu represented by the three dots. It can be found in the top right-hand corner. Look for the option “save original photos” and you want this on if you want to save your Instagram photos or videos to your gallery. Go to Google Play Store and search for Regram. On the results page, tap on the Regram logo, and then install. Once the app is installed you can go back to the Instagram app itself. Look for the photo you want to save. Tap on the Copy Share URL option. Choose what you would like to do with the photo. You can save, repost or share. If you are looking for an app that supports both photos and videos, but mainly produces good results for videos, this app is your bet. It can help you download videos conveniently with its easy to use interface. You are basically following a two-step download process when you want to save a video. But the app has to be installed on your Android device and installation is also pretty basic. This app helps you download the video using tags; the video is then saved to your device. Here are the steps on how to install this app. Once you get to the result page, choose the installation link, open and install. After installing the app, go back to Instagram and copy the video link. Tap on the button that says Download and it should start the process. What should your do if these downloaded photos are accidentally lost or deleted? If you’ve learned the above tips on how to download Instagram photos, you’ve already got a lot of great photos on your phone. But you never know which comes first, tomorrow or accident. What if these beautiful photos are deleted or lost by accident? Don’t worry! Gihosoft Free Android Data Recovery software can help you out! With powerful functions and advanced scanning technology, it can help you quickly recover deleted photos from your Android phone.